The 29th Annual Justin Wynn Awards Brunch was held on Sunday, May 1st. 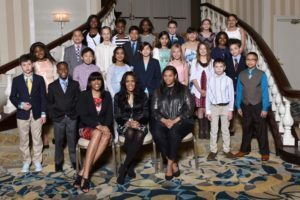 Congratulations to the 24 recipients! 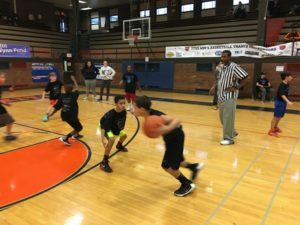 Forty five teams competed in the 12th annual 3-on-3 Basketball Tournament on Saturday, March 5. A portion of the proceeds from the tournament will go to Evanston Scholars, a non profit organization that improves college access for a diverse group of Evanston students. 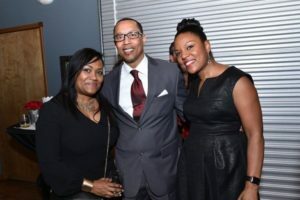 The Justin Wynn Fund 1st Annual Red Tie Gala on February 13, 2017 was a great success! The JWLA held their 8th Annual Thanksgiving Food Drive on Monday, November, 16, 2015 at Washington School. 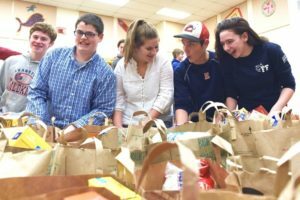 Over 50 Wynners collected food from their neighbors and then sorted and bagged food for 3 recipient organizations: A Just Harvest, Hemenway Church Food Pantry and Gates Manor. More than 250 total bags of food were donated. 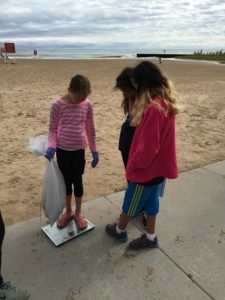 On Saturday, September 19th, over 30 people from the Justin Wynn community came out to clean up Clark Street Beach sponsored by the Alliance for the Great Lakes . This group included Wynners and their families, Board members and their families, and staff. Thanks to everyone for supporting a great cause! 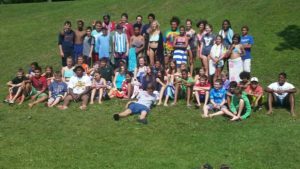 On August 14-16, 53 Wynners and 7 chaperones attended Camp Duncan for a weekend of fun, relationship building and discussions about being a leader. Despite the bee stings, major mosquitos, passing storms, everyone had great time. 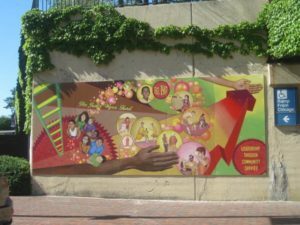 Local artists Lea Pinsky and Dustin Harris worked with the students in the JWLA to create a mural that celebrates 25 years of the Justin Wynn Fund. Ms. Pinsky and Mr. Harris installed the mural on the exterior wall of the Davis Street Metra station.